With the ever-increasing fees cropping up at banks these days, your monthly statement can seem like more of a bill. And consumers are getting hit where it hurts – in their wallet. "We made 4 transactions out of this account. And they charged us $50 per transaction, totaling $200 that we never knew was going to happen,” said Citizens Bank customer Paul Bentley. That 200 bucks really hurt newlyweds Paul and Erica Bentley’s budget. So when their bank socked the couple four separate times for moving money between accounts, Paul Bentley was beside himself. "Angry. Very angry. You know, they didn't give us any kind of forewarning that would happen. Two hundred is not a small amount of money,” he said. Unexpected bank fees can cause big frustrations. We have some advice to help you fight back. Citizens Bank listed the fee in a packet the Bentleys got when they opened their money market account. But Paul said the warning was in fine print, and they didn’t see it. In a statement to NBC Connecticut, Citizens Bank said money market accounts like the one the Bentleys have earn higher returns and require a longer-term commitment of funds. “We offer savings-oriented products like money-market accounts to help customers who want to aside money and earn higher returns than are available through traditional transaction-oriented checking accounts. These higher returns are made possible by a longer-term commitment of funds to money-market accounts. We work with our customers every day to help them identify the types of accounts that best fit their needs and we clearly communicate our pricing up front to help customers find the products and services that are right for them,” said Citizens Bank Director of Public Affairs Chris Riley. The Bentleys eventually got a partial refund of $100, but for them it’s too little too late. They plan to close their account. With all of the new fees popping up at big banks, it’s no wonder customers like the Bentleys can’t keep up. ATM surcharges are skyrocketing, free checking is fast becoming a thing of the past, and Bank of America just introduced a $5 monthly debit card fee. Other banks are considering similar hikes. “The banks are feeling pain from some of the other areas where their profits are being cut and they're trying to make up for it,” said SmartMoney.com reporter Kelli Grant. So what’s a consumer to do? You’ve got options, starting with a credit union or community bank. These typically charge lower fees and some are even offering deals to steal you away from the big banks. “Where our advantages take place is because we're a not-for-profit organization. So any of the money that we make we turn back into the membership in the form of higher rates on deposit accounts, low rates on loans, little to no fees,” said Nutmeg State Federal Credit Union President and CEO John Holt. • Use a credit card and pay the balance off every month. • Shop around for free checking, and don’t be afraid to switch banks to get it. • Find out if your employer has a relationship with a particular bank. 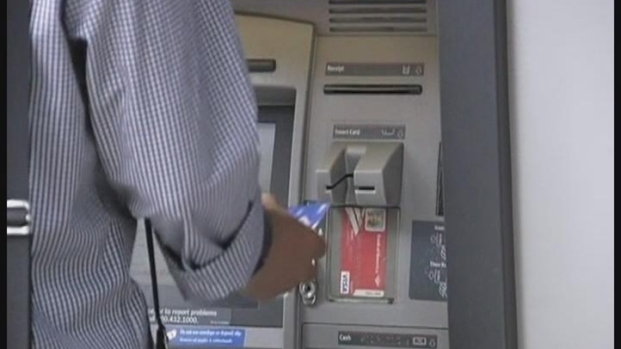 You may be able to get perks from the bank, like interest-earning checking accounts, for free. • Use your bank’s smart phone app to find its ATMs nearest you. “You want to be switching banks anytime they charge you a fee that you can't get away from and you realize there's another bank that's going to give you that same service for free,” said Grant. And finally, always read the fine print. That’s something the Bentleys now wish they would have done sooner.